Finding the ideal small-town retreat is getting tougher these days, at least for urban escapees whose checklist for perfection includes some potentially contradictory traits. It has to offer seclusion, but within a two-hour drive of a major city. Natural beauty, but no weather extremes. Relaxation, but plenty to do when the mood strikes. Interesting neighbors, but not so many that traffic backs up or real estate prices get out of hand. On all but that last count, Ojai, Calif., may be one of the few small towns in America actually to meet those demands. 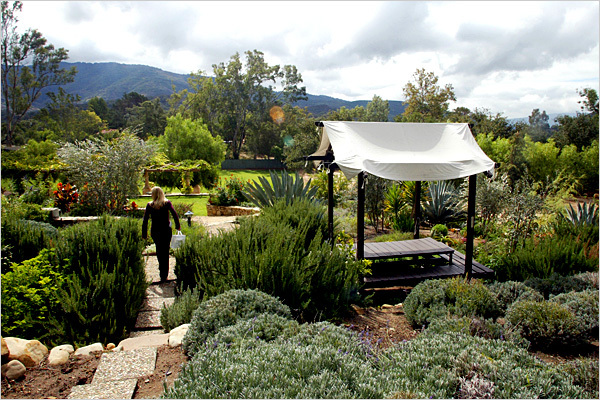 In a valley less than 90 miles northwest of central Los Angeles and 15 miles inland from the Pacific, Ojai is a low-key hideaway known for attracting an eclectic mix of artists, spiritual gurus, health devotees and entrepreneurs — and, more recently, Hollywood actors and executives. Real estate agents generally avoid discussing celebrity clients, but local newspapers said that Gov. Arnold Schwarzenegger and his wife, Maria Shriver, were house hunting in Ojai this summer, and the former “Dallas” star Larry Hagman owns a solar-powered spread there. But by all accounts, high-profile residents tend to keep a low profile around town. In fact, the valley’s slow pace is precisely why Eric Goode, part owner of New York City hot spots like the Waverly Inn and the Maritime Hotel, bought a home in Ojai nearly 20 years ago. “I wanted a place that was the opposite of New York,” he said. “It’s just a funny, sleepy town.” Mr. Goode spent a couple of years in Ojai as a child and recently set up a sanctuary for 300 endangered turtles and tortoises from the Bronx Zoo — a project that has increased his visits to Ojai to about once a month. The town’s name comes from a Chumash Indian word meaning “moon” or “nest,” and a shot of the valley that appeared in the 1937 Frank Capra film “Lost Horizon” bolsters the area’s status as a modern-day Shangri-La. With just 8,000 residents, Ojai has long had an anti-development stance, preserving its reputation as a haven for healthy living, in contrast to the crowds, pollution and excess of Los Angeles. It is also something of a spiritual mecca, home to the Krotona Institute of Theosophy and a retreat dedicated to the teachings of Jiddu Krishnamurti, once an Ojai resident. These days, visitors and transplants are more likely to be seeking a massage or a Mediterranean-style ranch. Those in search of more active pursuits will find miles of trails for hiking, biking and horseback riding, as well as golf courses, tennis courts and yoga classes. 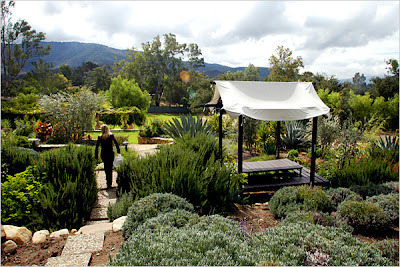 But the growing popularity of spa vacations has put Ojai on the map. One of the main draws is the Ojai Valley Inn and Spa, a 220-acre Spanish colonial-style resort that finished a $90 million renovation last year. With three pools, four restaurants, an 18-hole golf course, a 31,000-square-foot spa and activities ranging from guided hikes to art lessons, it’s a popular escape for Los Angeles residents as well as for travelers who fly in. It’s also a favorite location for corporate retreats and special events, making headlines Labor Day weekend when the “Private Practice” star Kate Walsh held her wedding there. With weekend rates starting at $400 a night and a 50-minute massage priced at $140, the Ojai Valley Inn and Spa draws a deep-pocketed crowd for its style of deep-tissue relief. On the more economical end of the spectrum, weekend room rates at the Oaks at Ojai spa start at $190 a person, based on double occupancy, but include meals and classes, while a 50-minute massage costs $75.